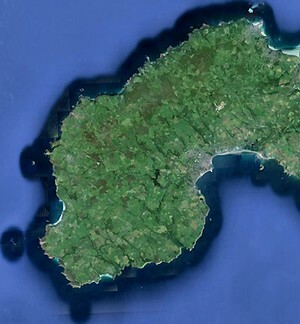 Ancient Penwith is a project pulling together research into the ancient sites of West Penwith, doing further research, and studying the whole landscape of Penwith, particularly through looking at the locational factors involved in the siting of ancient sites. The project bridges archaeology, geomancy, earth mysteries and dowsing, with some astronomy, geology, mythology, deduction and imagination thrown in. It takes a wide-spectrum approach and available information is carefully checked. It is based in the belief that the ancients knew something that we don't, and that what they knew might be of value to us today and in the future. Penwith is a distinct area bound by sea on three sides. 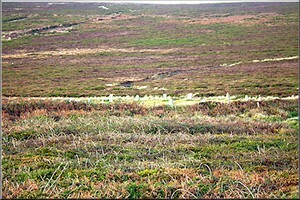 It has a greater density of ancient sites than anywhere in Britain except the Orkney Isles. It also has a significant number of people interested in this subject. These make it a valuable area for carrying out research projects such as this. 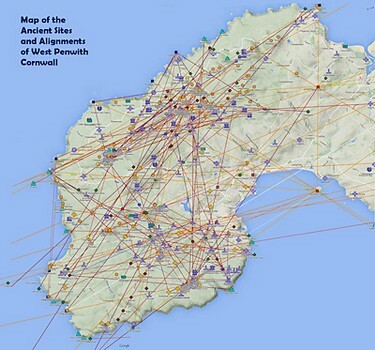 In prehistory West Penwith was quite central, since much long-distance travel was by sea. It is well placed between Ireland, Wales, Brittany and what became England. It was also rich in tin, a rare and valuable constituent of bronze. This is an attempt to gather information that might contribute toward resolving some crucial 21st Century issues, by studying patterns of subtle energy in the landscape and coming to understand more clearly the minds of ancient people and the relevance of this to our situation today. Subtle energies were utilised and enhanced by the people of the neolithic, bronze and iron ages between roughly 6,000 and 2,000 years ago, and there is something for us to learn from them. Thus far a series of maps of ancient sites and their alignments have been created using Google Maps. Click here to see them. They draw upon existing research done by a variety of people since the days of geomancer John Michell around 1970, and brought together over time by Meyn Mamvro, a journal about the ancient stones and sacred sites of Cornwall. All details on the map have been discussed and checked and are subject to ongoing review and revision. If you have anything to add or correct on the map, do make contact. More details about the map here. During the making of the maps new discoveries were made that are reported in the Researches section of this site. 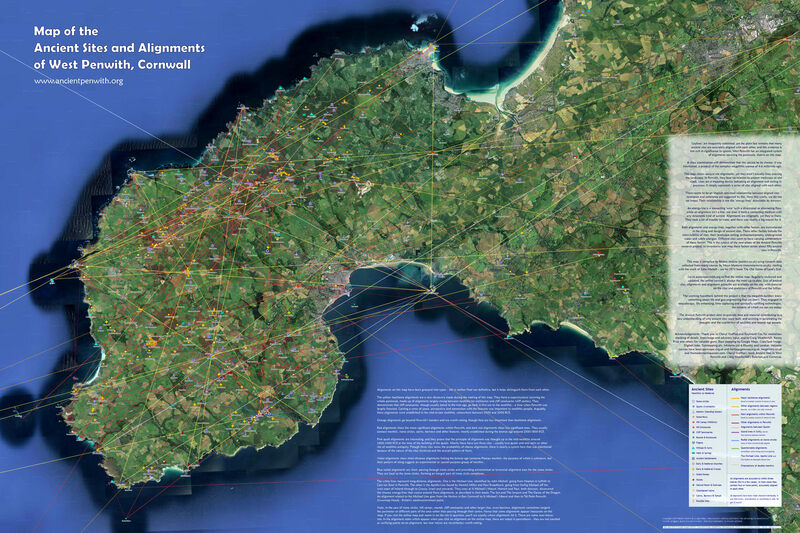 a systematic study of the astronomical alignments of key sites in Penwith. Thus far, this subject has not been systematically investigated. To date, astronomical alignments have been identified by researchers in rather a piecemeal fashion, and only at some sites. This work has been started by Carolyn Kennett. Ongoing re-examination and reinterpretation of new and existing information, both archaeological and wider-spectrum, as is already demonstrated on this website. Since this is unsupported work, this research will proceed at the speed that it goes. The approach of this project does not conform to the normal parameters of archaeological and academic research, so normal research funding and facilities are unavailable. Enquiries welcome. If you are interested in contributing relevant information or input, or if you have thoughts or valuable connections, you're welcome to get in touch. Palden Jenkins, Botrea Farm, Newbridge, Penzance, Cornwall TR20 8PP, UK. 01736-785 967. E-mail.